Eating Healthy On The Road (with recipe) | Club Dine In! Follow Club Dine In! is on Twitter and Facebook. Road trip and airport/airplane food is usually dense in refine carbohydrates, salt, sugar, and fat and seriously lacking in nutrients. It leaves you bloated, fatigued, and uneasy. Though, a little planning can change all of that so you can enjoy your trip so much more. Satish and I drove down to Los Angeles a couple of months ago to visit friends and family. We always prefer to drive down so we can have the convenience of our own car, but this time I was dreading the road food more so than ever before. Off of I-5 there isn’t much offered than fast food and a few sporadic fruit stands, so we usually end up making one stop at In-N-Out. I always order a grilled cheese (no meat) and fries. It’s basically just white processed bread with “cheese” and onions, blended with their special sauce. I physically never felt great after indulging in that “food”. Maybe, the experience is much different for people who eat the beef patties. Well, I just couldn’t do it anymore. The feeling of being bloated and fatigue..especially since I have been doing so good with eating fresh, clean food and working out. I find that once you have cleansed yourself of processed food, it’s really hard to eat food made out of chemicals. So, I made our own food! Homemade, gourmet sandwiches to go! The drive was only 5-6 hours long, so we did not need a whole lot of food. I also had packed unsalted, mixed nuts and tortilla chips (Satish loves them). We always travel with our stainless steel water bottles filled with water. We did stop by a Starbucks for coffee/tea and a bathroom break. Recently, we went to Kauai for our vacation. I couldn’t have been more excited about the trip, but the airport and airplane food had me a little more than turned off. I have been trying to keep up with my new year’s resolution and I do not think vacations are an excuse to eat highly processed food. Plus, there is nothing pleasurable about it to me. I also didn’t want to leave a trail of plastic behind just for my convenience. (Processed food comes packaged in plastic). Especially, since most places and facilities do not recycle or properly dispose these materials. A couple of days ahead of our trip, I made savory muffins (recipe below) for us to take on the plane. They keep well and are filling. We had also packed our own trail mixes and Lara Bars. – Plan: Make sure to eat a decent meal before heading out to the airport or on a long car ride to avoid eating horrible airport food or going through the drive-thru. -Pack your own food: fruits, sandwiches, sun-dried tomatoes, nuts, and carrots are good choices. -If you are driving, you can pack a cooler so the food options open up, especially if the road trip is during the warmer months. Salads can be a great, light option for the road and should not wilt in the cooler. -Bring water in a reusable steel/glass bottle. Fill up several reusable water bottles before heading out on the road trip (major no-no for airplanes) and you can even spruce up your water with a sprig of mint or citrus. Just squeeze a few drops of fresh lemon or sweet orange into your water bottles for a refreshing taste. You will save money and plastic from ending up in the ocean. When you run out of water, buy the largest container of water and refill your reusable bottles. One large plastic container does less damage than 36 individual, plastic bottles. Also, if safe-drinking water is available, fill up from the sink or fountain. Also, many water-filter made for traveling. – Do some research and try to find out if there will be better choices while driving or at the airport. This is especially helpful for longer flights and road trips. – Relax. After all you are on vacation, and as long as you are not making too many exceptions and staying active, don’t worry about it! I made these muffins for our recent trip to Kauai. I added the pinch of turmeric to act as natural preservative, but it did not change the flavor. 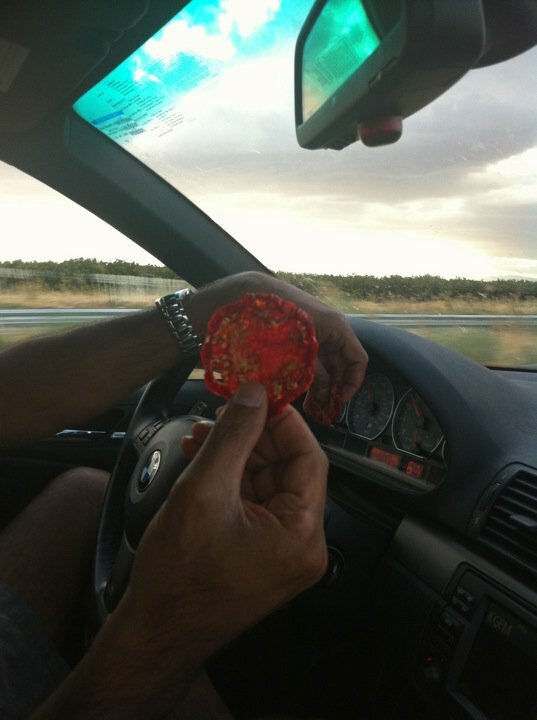 I like to use sun-dried tomatoes that are not packed in oil/solution. To soften the sun-dried tomatoes, I cover them in hot water for 10 minutes before using them. These keep well in the refrigerator for 7-10 days. They also freeze well. 1. Preheat oven to 400F, with rack in the top third. Use the butter to grease a 12-hole muffin pan and set aside. 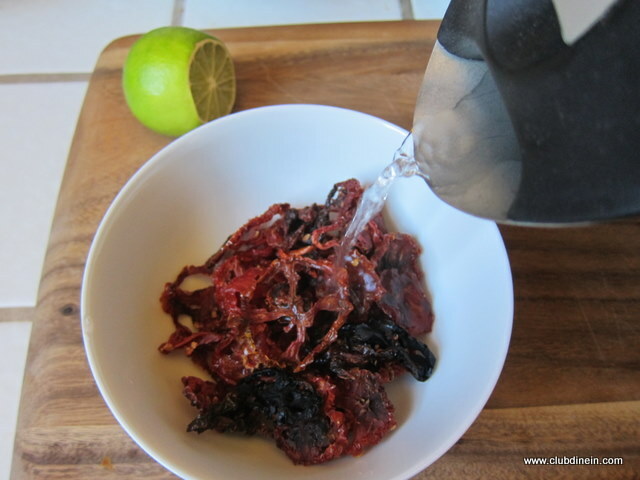 I buy sun-dried tomatoes that are not packed in solution or oil and soften them by soaking them in hot water for 10-15 minutes. 2. In a large mixing bowl, add the spinach, sun-dried tomatoes, two-thirds of the olives, dried basil, pine nuts, Parmesan, and two-thirds of the goat cheese. Gently mix together using a spatula. 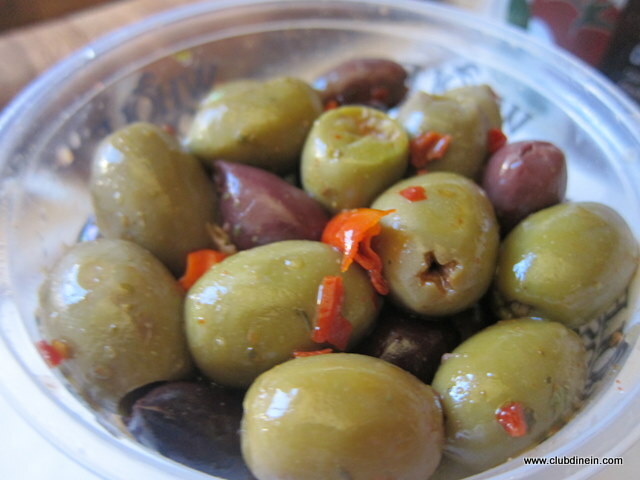 You can use a variety of olives, but Kalamata works the best in the muffins. 3. In a separate bowl, beat the eggs and milk together and add to the sun-dried tomato mix. 4. In another bowl, mix flour, turmeric, salt, black pepper, and baking powder together. 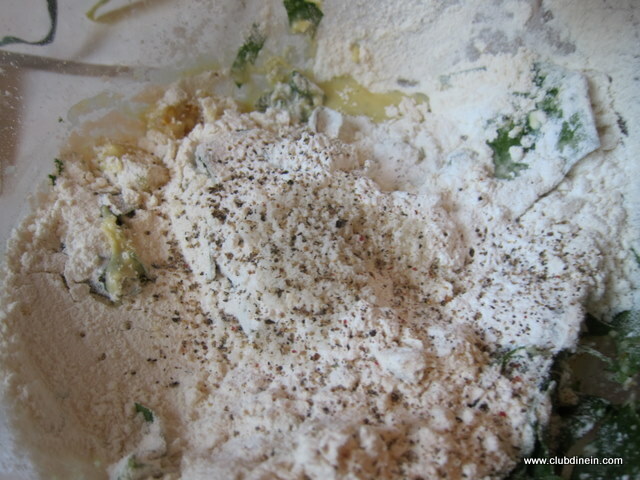 Slowly add the flour mixture to the sun-dried tomato mixture. Fold together with a spatula just until the batter comes together. Be careful not to over mix. Be careful to not over mix the batter; it should be a bit lumpy. 5. Spoon the mixture into the prepared pan, filling each hole 3/4 full. Top each muffin with a bit of the remaining olives and goat cheese. Bake for 15-20 minutes or until the tops and sides of the muffins are golden, and the muffins have set up completely. Let cool for a couple of minutes then turn out onto a cooling rack. What are your healthy tips and suggestions for road trips and airports? I think most people like In-N-Out so much is because they haven’t had better burgers or they don’t care about quality/health. Most people are not even aware of how food affects their mind and body. Have fun in Palm Springs! thanks! im not going till april so got a whiles way to go yet. im def looking forward to that sun.